This bredie will always be ready, ready to be fulfill the need of food with rich tasty. 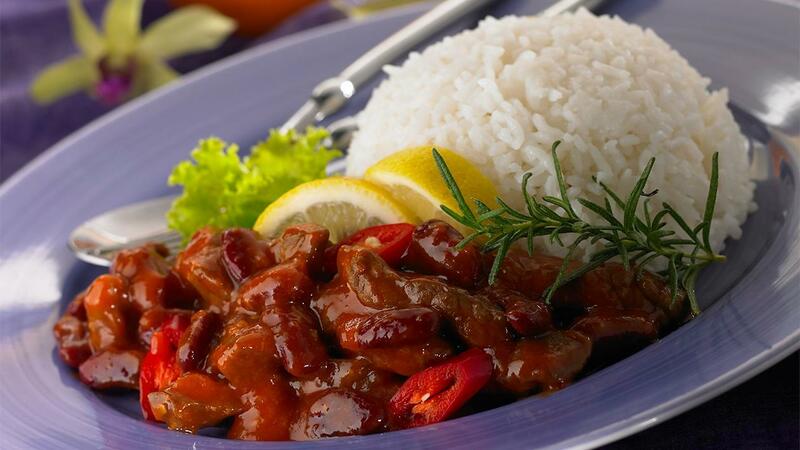 The lamb meat with perfect combination of tomato sauce and read bean, going to tease your customer curiosity. Boil lamb and red bean until well cooked. Prepare all materials, ensure that all materials are ready to use. Grind shallot, garlic, coriander, until well blended, then stir-fry until fragrant. Add oregano, thyme, bay leave and clove. Add lamb shank and red bean. Pour water, stir, well and continue boiling until for few minutes. Season this bredie with brown sugar. Decorate the bredie with sliced red chili and mint leave.